France is the number one tourist destination in the world. It has everything that you could ever want to see on your holidays: the great city of Paris, good beaches, more monuments than any other country, lovely nature, incredible mountain scenery... is there any need to go on? The French people enjoy their lives. 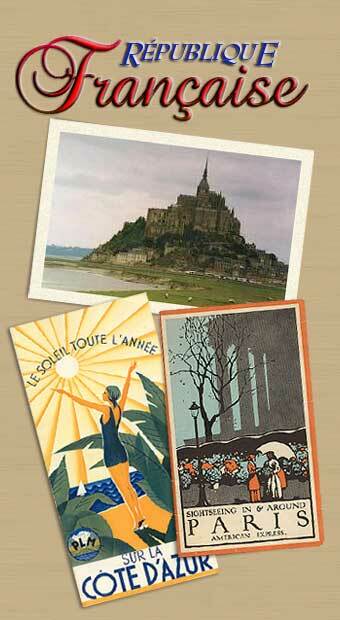 France is a very pleasant place to stay, with good food, great wines, terrific sights, and wonderful culture. The North of France consists of the flatlands around the town of Lille and the Channel. The area will remind visitors in many ways of Belgium and the Netherlands. The Grand’Place in Lille, for example, is a lot like that of Brussels. Paris, the city of light and its surroundings are among the most visited areas. Paris is without a doubt one of the most beautiful cities on the planet. The West of France is turned toward the Atlantic Coast. In the north Normandy and Brittany have rolling hills, sandy beaches, and quiet little harbor towns. With its many neolithic sites, it has quite a distinct atmosphere from the rest of the country; you can still sense the Celtic origin of the region and its inhabitants. Nantes and Bordeaux are the biggest cities on the west coast. Bordeaux, capital of the south west, is a stylish city famous for its wines and its 18-th century architecture. The Pays Basque is the southernmost part of the Atlantic Coast of France. The resort of Biarritz is posh, but pretty. The eastern part of France consists of the Alsace, Lorraine, Franche Comté, and Burgundy regions. The landscape has rolling hills and many beautiful cities, such as Metz, Strasbourg, Nancy, and Dijon. This region produces many famous wines, including magnificent pinot noirs and chardonnays valued the world over. The center is in many ways the most quiet part of France. The great treasure of this region is the Loire valley, with many great castles and beautiful towns. Chartres, with its famous cathedral and tours, rates among the most beautiful French cities. The Auvergne, centered on the Massif Central mountains that culminate at about 6,000 feet, is one of the most beautiful regions of France. Much of it is upland, traversed by wild river valleys and an unspoiled natural environment. The north of this region stretches toward the flatter Loire valley. The regional capital is Clermont Ferrand, and the small city of Le Puy-en-Velay, with its historic churches perched on volcanic pinnacles, is one of the most surprising cities in France. 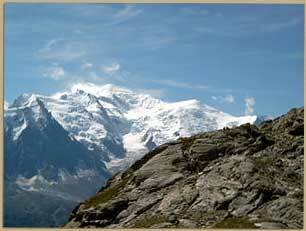 The Alps are great for skiing in winter and hiking in summer. Albertville, Grenoble, and Chamonix have all hosted the Olympic games. While Mont Blanc is the highest mountain in Western Europe, the French Alps also have nice towns to visit, such as Chambéry, Annecy, and Grenoble. The Provence is dotted with pleasant small villages. In the southwest, the Dordogne is among the quintessential French regions. The valley is so pretty, the towns are so quaint, and the food is so good, that it is hard to believe the people who live here go somewhere else for their holidays. The Languedoc has its own language and culture. In the south of the Languedoc you find the Pyrenees, a great mountain range separating France from Spain, where you can hike and ski. The towns of Toulouse and Montpellier are located here, and the medieval town of Carcassone is a top destination.